THE PETTICOAT "lou coutihoun of dessouto"
Long and tightened in the back on the waist by a cord. It has a yoke on the front. The bottom is decorated with pleats and scalloped. 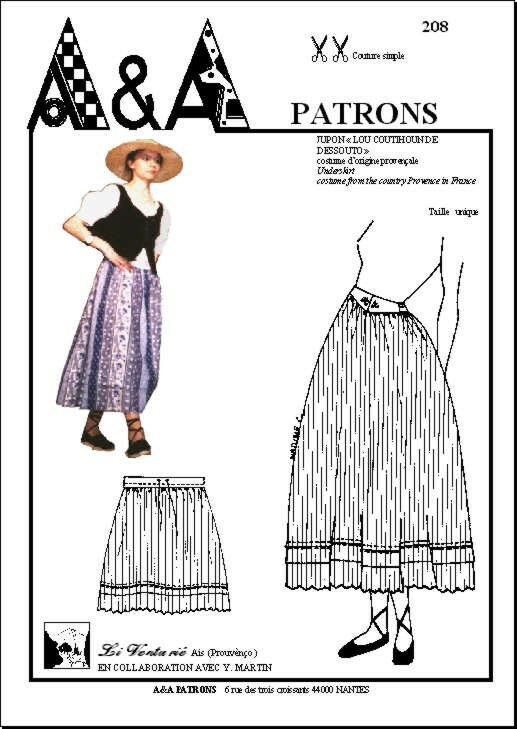 This pattern is both for women who want to make a traditional Provencal costume but also to those who want a petticoat (which can be worn as a skirt) contemporary inspired by a regional model. This petticoat can be white, in fine linen, percale, or in heavier fabric: quilted fabric, striped red and white, blue and white, in this case the yok may be in unbleached or white cloth. 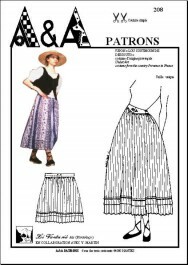 At the bottom, you can embellish the skirt of a large ruffle (make provision of more fabric, eg 2 m for a ruffle of 30 cm) that can be scalloped, embroidered or trimmed with lace. For a contemporary skirt, we can replace the cord in the back by an elastic. 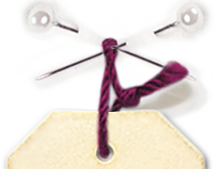 Traditionally the yoke is embroidered in the middle by the initials of the ownerof the peeticoat.